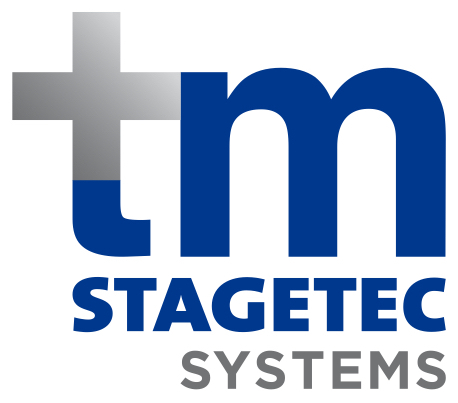 Treva Head, the Managing Director of Stagetec Mediagroup Australia announced this week at the SMPTE 2017 Exhibition that effective immediately, the company will officially change its name to tm stagetec systems pty ltd.
‘There is no change in management, staff or the day-to-day operations of the business. By the name change, we hope to both reflect the further expansion of the company as well as keep up the good reputation we have held in the Australian market for over 6 years.’ Mr Head went on to say. Clients, suppliers and employees alike are optimistic about these changes which will see tm stagetec systems continue to expand as a company well into the future. The tm part of the name originated from the company’s founding employees Treva (Head) and Mark (Lownds). However, it has evolved to become so much more than that, tm has been chosen as it is a brand that can evolve well into the future without restrictions or limitations. tm is simply the representation of what the company is today, a technology company that offers more. From a modest beginning, starting with just two employees, Stagetec Mediagroup Australia was launched in 2011 under the banner of the German owned Mediagroup Consortium and was the exclusive Australian distributor for all Mediagroup products. Building on a reputation of high quality products and completely customised service, the company expanded its product range to offer additional products and services in the Australian market. Initially, these products were high end audio systems for both government and enterprise. As the company developed, fostering a passion for innovation and technology created a path into further expanding the product and service range and taking on new projects in the ICT and networking sectors. The product range was also expanded to more than simply those products offered by Mediagroup. tm stagetec systems, with its two founding employees overseeing operations, now employs over 30 people and continues to mature, taking on new and challenging infrastructure projects. The main areas of expertise within the company are professional audio, public address, network and equipment management and information systems. Key sectors include, stage and theatre, broadcast, enterprise networking, public address, passenger information for transportation and communication systems. The company is also invested in product research and development and manufacturing. To learn more, go to www.tm-systems.com.au.